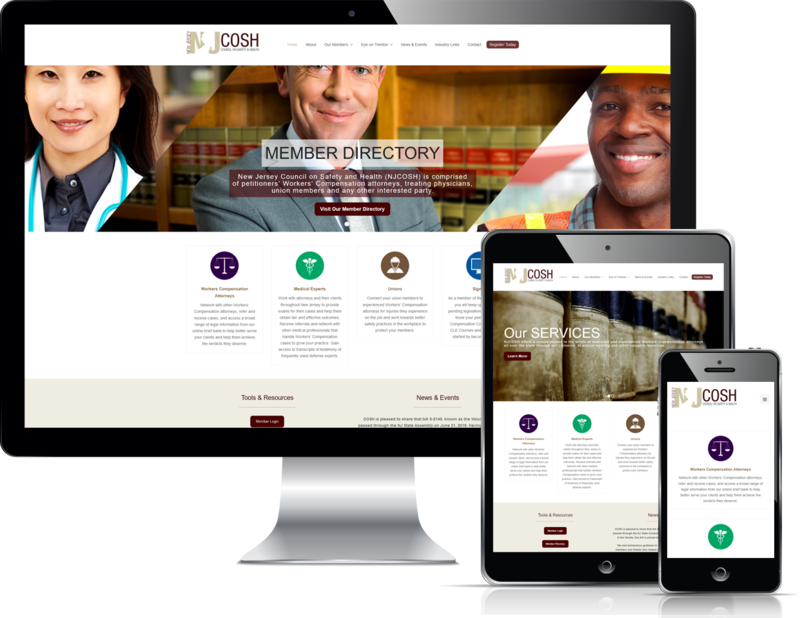 The NJCOSH website is another good example of an association website that needed integration with a member database, but the sites architecture and visual needs were served with a WordPress foundation. We worked with an existing template and custom elements to show the value of NJCOSH, search and promote members, and offer a simple solution to join and pay for membership. The site also highlights the ability to do easy updates of content by the association with an economical and streamlined solution.